The Marine Litter Report sounds the alarm for the UK’s trashed tidelines, highlighting the environmental impacts on marine ecosystems and wildlife, and the unaffordable costs to industries including fisheries and tourism. 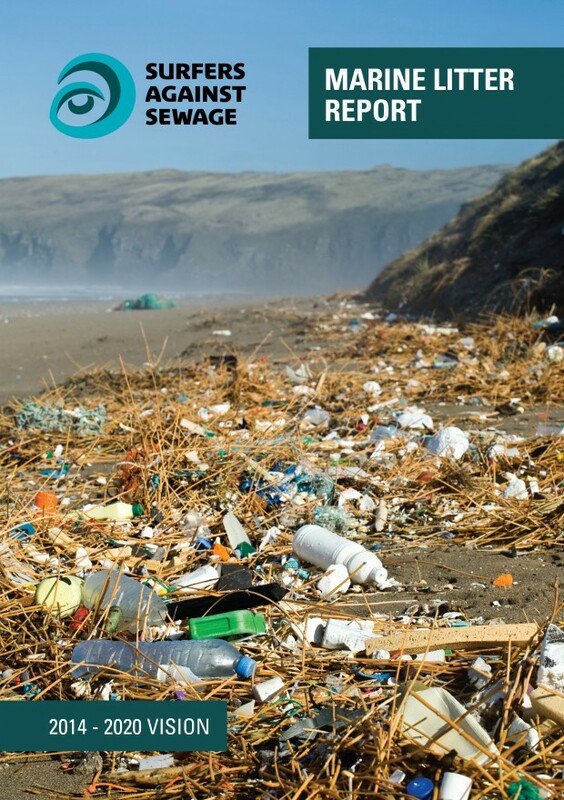 The report was launched at SAS’s inaugural Protect Our Waves All Party Parliamentary Group in October 2014 and calls for cohesive and effective anti-marine litter measures from all sections of society including community action, increased company responsibility and new government legislation. Surfers Against Sewage suggests innovative new initiatives to stop marine litter at source, including implementing smoking bans on beaches, introducing prominent environmental health warnings on single-use packaging, reinstating container deposit schemes and better enforcing fines for littering along our coastline. The report also calls on the public to refuse single-use plastic products where possible and for industry to be more accountable for the full lifecycle of packaging and products through extended producer responsibility schemes. The launch of the SAS’s Marine Litter Report was specifically timed to coincide with Europe’s Marine Strategy Framework Directive (MSFD), which requires the UK to put in place measures to achieve or maintain ‘Good Environmental Status’ (GES) for our oceans and beaches by 2020. Marine litter will be a key indicator of the health of our coastline during this period. The MSFD timetable requires the UK government to adopt additional measures and actions by 2015 to implement by 2016. SAS hopes that ambitious new recommendations from its Marine Litter Report will be adopted and implemented as part of increasing efforts to tackle UK beach litter. The report was presented to George Eustice MP, Minister at the Department of the Environment, Food and Rural Affairs (Defra) for consideration at SAS’s All Party Parliamentary Group. The report details plenty of easy to adopt actions individuals and communities can embrace immediately. Download the executive summary and the full report here.